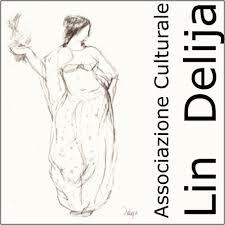 Il Museo della Città "Lin Delija - Carlo Cesi"
The home page is the main entrance to the Web site and here the organisation of contents and services and the browsing system must be immediately clear. If, due to choices of graphics, the home page of your site is an animated screen, then the “Mission Statement” and the identity of the site should be inserted into the page MUSEUM. Home pages of this type however, produce a negative effect on the transparency of the site and should be avoided. Should you choose to use an animated home page, then users should have the option of skipping the animation to go directly to the information using, for example, a “skip intro” button. The logo, part of the “heading” common to all pages of the site, should have a page of its own, and a description (presentation, motivation behind choices, etc.). The logo should be identified using ‘longdesc’.Interactive user functions such as “LOGIN” and “NEWSLETTER” should be clearly in view. There should be a space reserved for announcements and “NEWS” of the site such as newly published documents, events etc. The structure of the home page should differ from all the others, even if some elements are common to the whole site. These common elements are the heading, main navigation, meta-navigation and footer. The footer should indicate copyright, date of creation of the page, date of last update and the URL of the page. Ticket Bus S.r.l., Largo Guido Mazzoni snc, Roma.